The all-electric T6 bus was developed and built by Durot Electric GmbH. 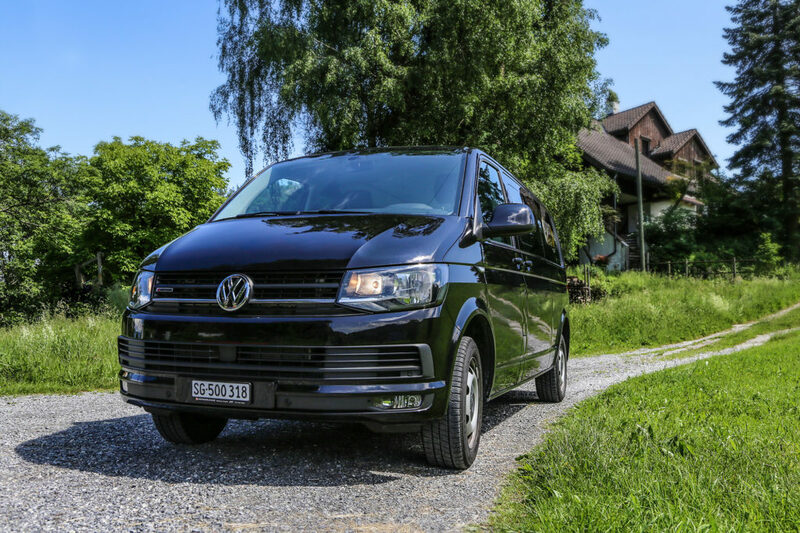 This van has 8 seats, all-wheel drive and a range of 400 kilometres. The T6 Electric is powered by two 100 kW electric motors. Both motors directly drive the respective axle through a bear box with built-in differential. The two drive trains can be controlled separately for optimal traction in any driving situation. The direct torque of the two electric motors give the vehicle unmatched dynamics even when loaded to capacity and towing. At under 8 seconds the T6 Electric accelerates faster than any mass produced bus and better than most cars. In local and city traffic the T6 Electric easily has a range of 400 km. At 120 km/h on motorways the 86 kWh battery still has an impressive range of 300 km. The long range and the various charging options allow the electric bus to be used in any field. The T6 Electric can be charged at any public charging station with Typ2 combo plug (CCS) with up to 62 kW. Thanks to the CCS socket, with a suitable charger the T6 Electric can also be used as solar storage for your home. It also features a 22 kW on-board charger. This allows the driver to charge the vehicle from any power source, at home or on the road, within a reasonable amount of time. No compromises were made in convenient and safety when designing this vehicle. All control elements from the original vehicle remain fully functional and instantly understood. In addition to the infotainment system, a second display was integrated to control the functions of the electric drive train so its state is always transparent with an appealing display. The T6 Electric was developed and built by Durot Electric in St. Gallen. The focus was on range and payload. The goal was a 200 km range when loaded to capacity and towing. The cabin had to be reserved for cargo. All design steps such as the entire system design, construction and production, electrical integration and wiring, software development and approval are part of the core competencies of Durot Electric GmbH and were clearly demonstrated with this project.